Find a vacation home to rent in Alessandria from our list of vacation rental properties. Campaya has over 42 vacation homes available in Alessandria, which give you the possibility to locate a unique accommodation in Alessandria which completes your check-list in search for the perfect self catering vacation apartments in Alessandria or vacation villas in Alessandria. Detached house with panoramic view over Monviso, with a courtyard equipped for outdoor dining. 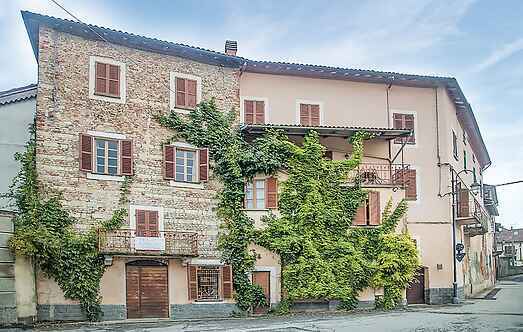 Pretty terraced house in Borghetto Borbera, immersed in the green countryside of Alto Monferrato. The property with its own entrance is on two floors. Elegant semi-detached house with swimming pool and indoor jacuzzi, sauna and fitness area, surrounded by nature and vineyards, in the spectacular area of ​​Monferrato.